Secure Data Recovery Services offers media repair, hard drive data recovery, and other data services to North Carolina through our local office in Raleigh. Our engineering teams have decades of combined experience, and with a certified Class 10 ISO 4 Cleanroom and dozens of advanced data repair tools, and we provide exceptional results for Wake County computer users or others who need data recovery services in Raleigh. At Secure Data Recovery Services, we understand how missing files can affect computer users. Raleigh is a naturally gorgeous city with a strong, progressive business climate. 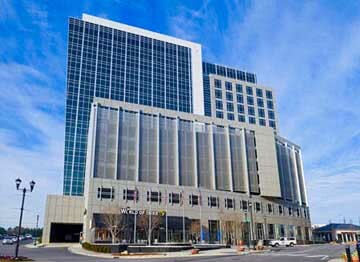 By establishing an office in the city, we offer Raleigh's 1.18 million residents an unprecedented local resource for professional data recovery. Many of our professional clients face significant down time and other severe consequences, and our goal is to provide exceptional services that simplify the disaster recovery process and succeed in hard drive repair services. Unlike other hard drive data recovery companies in North Carolina, we offer free media evaluations and a comprehensive no-recovery, no-charge policy for all of our hard drive data recovery options. Call us today to schedule a visit to our Raleigh office. You can also drop in at any time to discuss your case with an expert in data recovery. Local Raleigh businesses and individuals trust us with their data needs, and so can you. Data recovery is a specialized service, and general computer repair shops do not have the necessary tools to address hard drive malfunctions, RAID rebuild failures, and other common data loss scenarios. At Secure Data Recovery Services, we have invested heavily in research and development for data recovery. Prospective Raleigh clients should know that we operate North Carolina's only certified Class 10 ISO 4 Cleanroom, which allows our engineers to safely treat hard drives and other devices. We also have dozens of specialized tools that allow us to provide RAID repair, data tape repair, and many other advanced services to help you recover data. 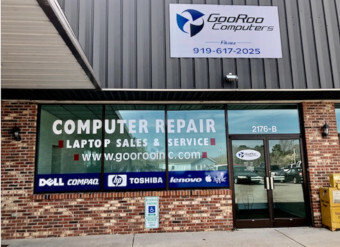 Local Raleigh residents and businesses simply have no better place to turn for their data recovery needs. Additionally, we maintain strong security systems to protect your confidentiality. Secure Data Recovery Services holds a SSAE 18 Type II certification, and we hold additional compliance certifications to make the purchasing process easier for hospitals, government offices, and other high-security clients who need RAID data recovery. For more information about security compliance, contact our customer service team or view our certification documents online. When you cannot access files on a digital device, you should immediately shut down your computer. Directly disconnect power to your machine by using its power button or by unplugging it from the wall. This prevents the normal shutdown procedure from contributing to data corruption. Never attempt to repair your own media, or run any data recovery software or hard drive management utilities. The safest course of action is to shut your device down and get a professional media analysis as soon as possible. We are here to provide the most qualified data recovery services in Raleigh, North Carolina. If you need a professional source for hard drive data recovery, RAID services, data tape repair, or any other specialty media repair service, Secure Data Recovery Services has the technology to give you reliable results. We maintain an overall recovery success rate of 96 percent, and our staff follows extensive protocols to protect your confidentiality. Our Raleigh office accepts drop-offs and can pick up your media in emergency situations. To start your case today or get a free quote, contact our customer service team. I had some damage to my hard drive which held photos and videos of the first 3 years of my child's life and marriage. I cried so hard thinking they were gone forever. I am SO glad that, after much research, I chose to trust my most treasured keepsakes with Secure Data Recovery. They worked so closely with me along the process, and even let me do a payment plan. WOW. Thank you so much everyone who worked on my data and also to Frederick who was so professional and so great at explaining everything to me. I truly appreciate it! Will always recommend!!!! After my phone took a turn for the worst, I got in contact with Fred W. of Secure Data (after a google search for the best data recovery companies). Fred and Secure Data were very helpful in figuring out to retrieve the data off my busted phone. Fred even worked with me to get a more economical price so it didn't break my bank account to accomplish this task. That last part was critical for I feared I would have to accept my photos from several trips lost to time. A big thanks to Fred and Secure Data for their assistance. So glad I found secure data recovery! Rob Anderson was very helpful and patient with me throughout the process. Everything was made simple and easy, with consideration of my budget and timeline. Secure data recovery is the best choice for data recovery! Had a WD Passport that I saved EVERYTHING on, almost 1TB of data..(Business and Personal).. I sent my Passport to Chris McMacken and OMG they got EVERYTHING off of it and back to me! I can't tell you how relieved I am knowing this company exists to help! THANK YOU - Chris for all the calls and emails I would have been so lost for the longest time without you!! I RECOMMEND CHRIS AND SECURE DATA A THOUSAND TIME OVER!!! You guys ROCK - Thanks Again!! !